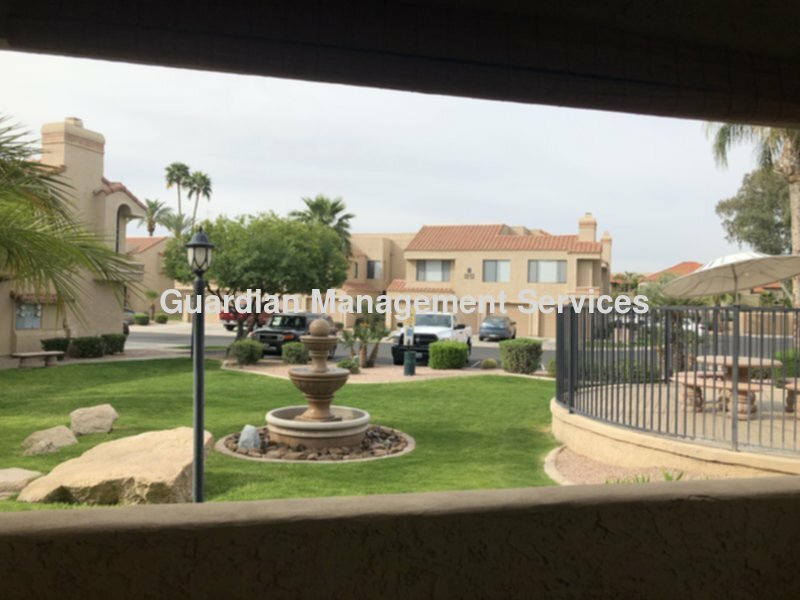 Residential Rental Listing 2 bed 2 bath in Scottsdale, AZ. Super clean and updated condo in a resort-like setting in the prestigious Scottsdale Ranch community. Located in premium location within the community near pool and lush grass area. Ground level unit with detached garage. Designer paint, ceiling fans, newer carpet and plantation shutters.